The Supermarine Spitfire is a British single-seat fighter aircraft that was used by the Royal Air Force and many other Allied countries before, during and after World War II. The Spitfire was built in many variants in greater numbers than any other British aircraft. 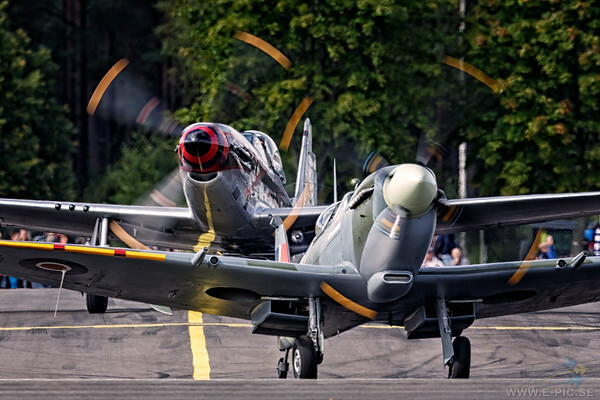 The Spitfire continues to be popular among enthusiasts; about 54 remain airworthy.